Germany is a lot more diverse than most people give it credit for. Sure, if you want to see half-timbered houses and eat all the pretzels you can handle, that’s possible. But there’s so much more to the country than just the stereotypes, which is probably best understood in the Swabian city of Stuttgart. Long famous for its affiliation with automobile history and production, the city has a lot to offer visitors, as I’ve learned on two different visits. In fact, it has become one of my favorite parts of Germany to visit, for these reasons and so many more. It was easy for me to believe that Stuttgart was and is an important capital city. Today it’s the capital of the state of Baden-Württemberg , but for centuries Württemberg itself was a separate kingdom. And that’s the feel of the old part of town, imperial splendor, not unlike many other great world capitals. Palaces, churches, opera houses and more all create large spaces that command your attention. But Stuttgart isn’t just about the past and the people who live there certainly are looking forward. Walking around town it was easy to find a certain hipster element; quirky bars and cafes, plenty of street art and art galleries that were as modern as any I’ve ever found. It’s a young city and the people who live there are generally creative, creating a culture and quality of life that’s frankly hard to beat. It wasn’t that obnoxious sort of hispterism though that you find in parts of New York or Portland, no, it was oddly welcoming and approachable and before I knew it I was craving an espresso and a retro-hat. When I heard that I was visiting the home of the world’s largest pig museum, I knew I couldn’t stay away. Located in a Stuttgart neighborhood, the concept started in 1988 when Erika Wilhelmer, a passionate collector of all things pig for years, decided to start a small and simple museum. Over the years it grew, eventually winning that vaunted Guinness title and moving to a permanent exhibition space in Stuttgart. As you can imagine, the museum is a little odd but it’s actually very well curated, presented and I found many of the exhibits to be interesting. But there are a lot of pigs; 50,000 pieces in 25 rooms means there’s a lot to see. For an added dimension of schadenfreude, be sure to eat at the adjacent restaurant that naturally specializes in pork. Other areas of Germany may enjoy their beers, but here wine is king and that’s especially true in Stuttgart. 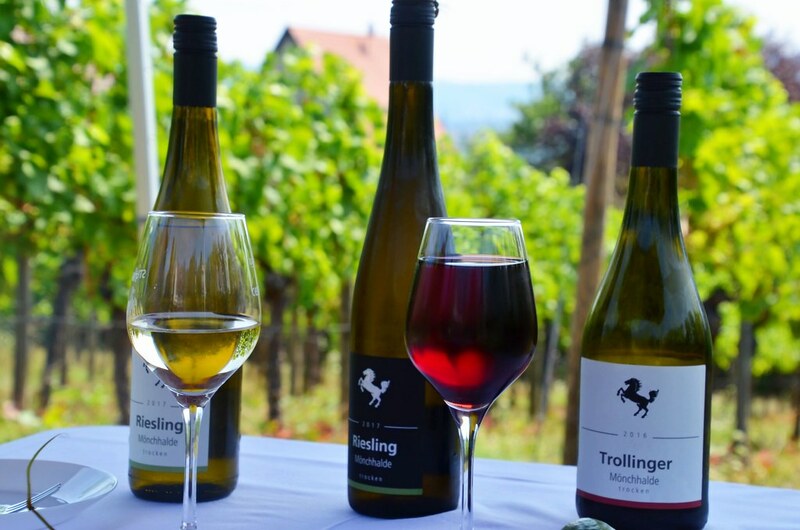 Surrounded by rolling hills covered with vineyards, winemaking has been important not only in Stuttgart, but the entire region for as long as people have lived there. Wine has also always been big business in Stuttgart and while homes and business have reclaimed many of the city’s hills, Stuttgart has reserved some vineyards in order to preserve the culture. Meeting with the vintners who create this important city wine, I learned more about the history and tradition of wine making in the region. They’re trying to reimagine the classic styles for more modern palates so, even if you’ve tried them before, I recommend trying them again to see how they’ve evolved in recent years. 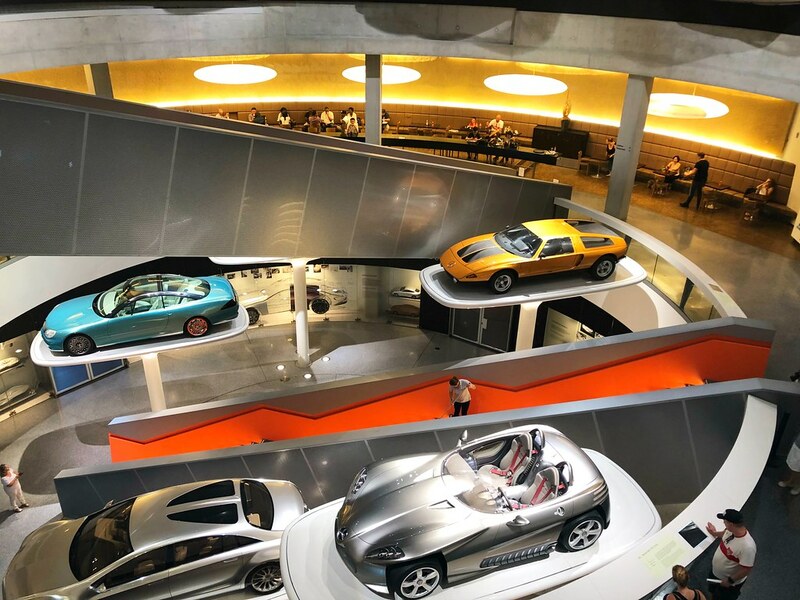 The one thing I didn’t have time to do on my initial visit was one of my first stops the second time – the Mercedes-Benz Museum. Approaching the museum I was at once taken by the architecture of the building itself, which is just as much a draw as what’s inside. Based on a unique cloverleaf concept using three overlapping circles, it was designed to maximize space inside where more than 160 vehicles are housed. Once inside, the museum ushers guests on a journey through the history of the company and the car really, a fascinating look at transportation history. Located in southwestern Germany, Swabia is no longer a distinct political unit, but instead is a cultural region. Its roots go back for centuries and even though the area is now divided between two different states, the people who call it home absolutely identify first with being Swabian. Stuttgart is one of the best places to experience Swabia, especially in terms of the food culture and one of the city’s most recognizable dishes – Maultashen. Although there are plenty of other Swabian staples to enjoy, I personally think that maultaschen is at the core of the foodie experience in the region. Like most traditional foods, it’s also beautifully simple, although there are many different versions. At its base though, maultaschen is a pasta pocket filled with spinach, minced meat, onions and herbs. I’ve had it a few different ways though, including a vegetarian version and one served with a fried egg. It’s a delicious and filling meal and I think the perfect introduction to Swabian cuisine. Stuttgart is a conveniently located city, making day trips easy and fun. One of my favorite spots to visit is the quiet town of Esslingen. There are a few towns and cities in Germany that managed to escape the ravages of war for one reason or another, that allow us to see what life was really like in the Middle Ages, and Esslingen is one of the best examples of a very well-preserved medieval city you’ll find anywhere in Europe. A major reason why many people visit this small town is due to its architecture. Esslingen is home to more than 200 half-timbered houses, the classic German design that many of us consider to define the architecture of the country. The oldest inhabited house in Germany as well as the oldest neighborhood can both be found in Esslingen, the bright colors and intricate design still showing off the wealth of its owners. While originally used thanks to its practicality, the half-timbered house in Germany is now considered to be an important part of German traditional heritage and luckily they have been preserved not only in Esslingen, but around the country. Of course there’s a lot more to do and see in this near-perfect community, and no matter what your interests I think everyone will enjoy spending a few days in this classic German town. Have you been to Stuttgart? What did you enjoy most?